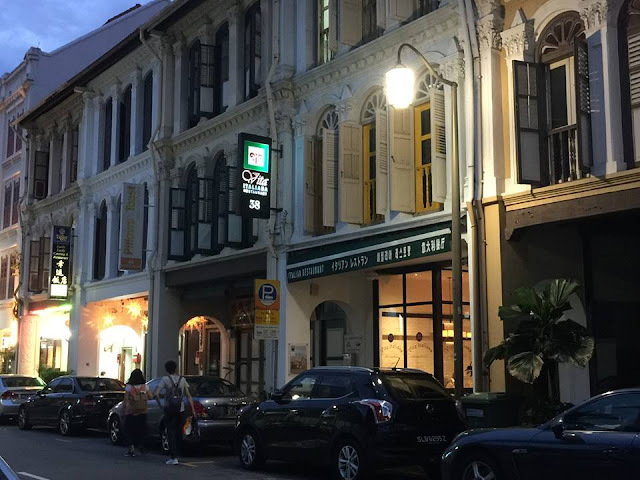 Home / best italian restaurant singapore / no menu concept singapore / no menu review / omakase singapore concept / vita italiana restaurant singapore review / vita italiana review / What does a no-menu Italian restaurant have to offer? What does a no-menu Italian restaurant have to offer? It was a night that I've anticipated for a long time. Together with Ivan, Ai Ling, Hence and myself, we met at downtown Mosque street for tasting. As I was there early, I tried to kill time by walking around the quaint neighbourhood. It was peppered with many chinese restaurants and there was a backpackers' inn round the corner. One restaurant particularly stood out — a shophouse with full-length windows, large enough for curious visitors to peer through. It has a retractable awning, with its shop name written in four different languages (English, japanese, korean and mandarin). Giorgia, the restaurant manager, gave us a brief overview of Vita Italiana. Established last year, the restaurant used to offer ala carte menu. However, under the wings of Chef Carmine, it has now taken on a totally different direction. Now a no-menu osteria, the restaurant offers the best of Italian cuisine in either 3, 5, 7 or 13 courses at surprisingly wallet-friendly prices. Chef Carmine — the host, the chef, the consultant and he can be your personal private chef too! So... what's the novelty of this restaurant? Well, what you tried today will not be there tomorrow. This idea excites me VERY much, because I'm a pretty adventurous foodie (except eating bugs, insects, etc). With that said, almost 6/7 of the items we tried were a hit. I must let you in that I was also suffering with my braces—newly put on the day itself— and it hurts so much that every bite (including a grain of rice) made my teeth feels like it was rattling in shackles. Thank you to my foodie friends and hosts for being extra patient that night! 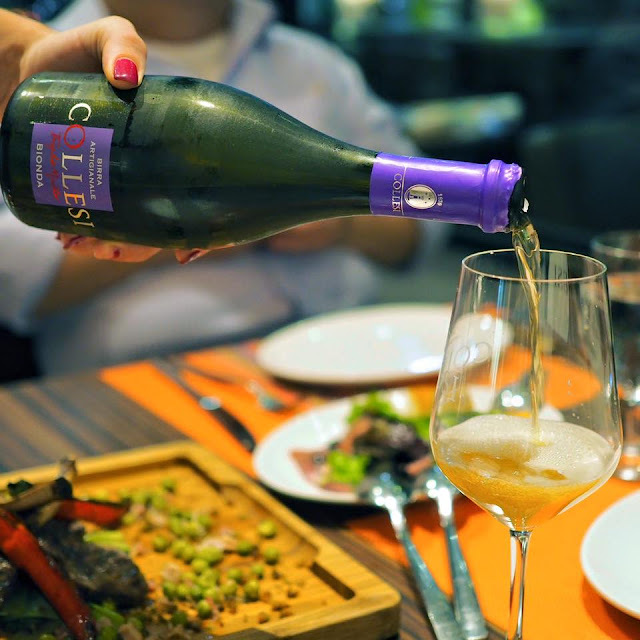 This unique Collesi wine-beer is the first beer in the world made with champagne techniques. You'll see the bubbles sizzle in your cup at first, before sizzling off to reveal a piquant beer. Skilfully brewed at Fabbrica della Birra in Apecchio, Collesi master brewer Marc Knops uses hard limestone water from Monte Nerone. The barley is grown in the Collesi family's own fields. After being malted at the malthouse, it returns to the brewery as malt and are kept 60 days in a bottle. Like champagne, they open the bottles after 60 days, let the air out, and vacuum back again. The collesi beer menu can be found on Ai Ling's blog. For starters, we had a sharing antipasto platter consisting of cheeses, bread and salad. One of the best Burrata I've ever had— it was fresh, creamy in spreadable strings and slightly sour. A very traditional Italian appetiser, I must say. It did make me look forward to the rest of the meal! An interesting myriad of flavours that seesaws its way between a sharp acidic taste and sour alkali flavour. I initially thought that the pomelo was grapefruit for its distinct sourness— but it turned out to be Indonesian pomelo. The salmon was crisp on the outside and flaky within. Ambrata - ABV 7.5% vol. Unpasteruized amber beer, naturally refermented in the bottle. An intense and glowing taste, with warm and rounded notes. Distinguished by a robust flavour of hops that deepns the rich bouquet of cereals and autumn fruits. The prawns were done rather differently. I appreciate the fact that they removed the intestinal tract, but it was slightly overcooked and a little rubbery. The scallops were amazing— probably because it was in the perfect rare sauce. I think the saffron sauce stole the limelight here. The lamb was quite tough for my delicate gums. You might want to read Ivan (another blogger)'s review. Bionda Alta - ABV 6%. Unpasteurized pale beer, naturally refermented in the bottle made with Munich malt. Characterised by strong aromas of hop flowers, malt and fruity notes, with fragrances of yeast, vanilla, hot crusy bread and honey. This pairs well with rich sauces, fish and shellfish. 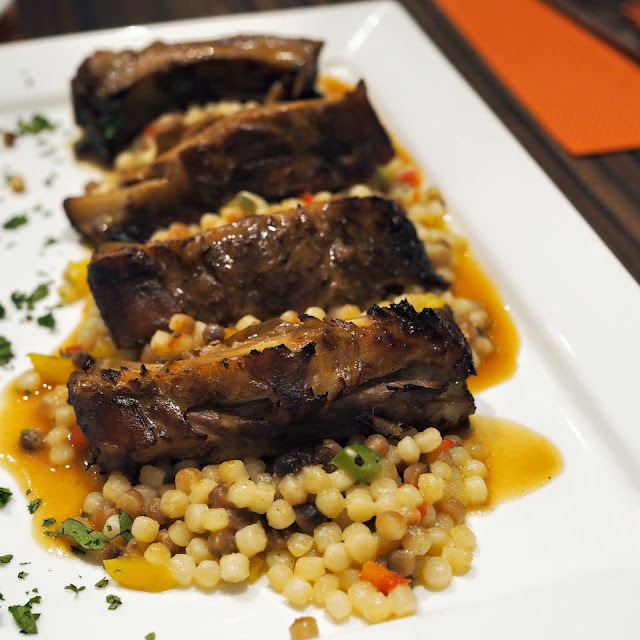 Fregola, a type of pasta from Sardinia that honestly tastes like enlarged couscous. 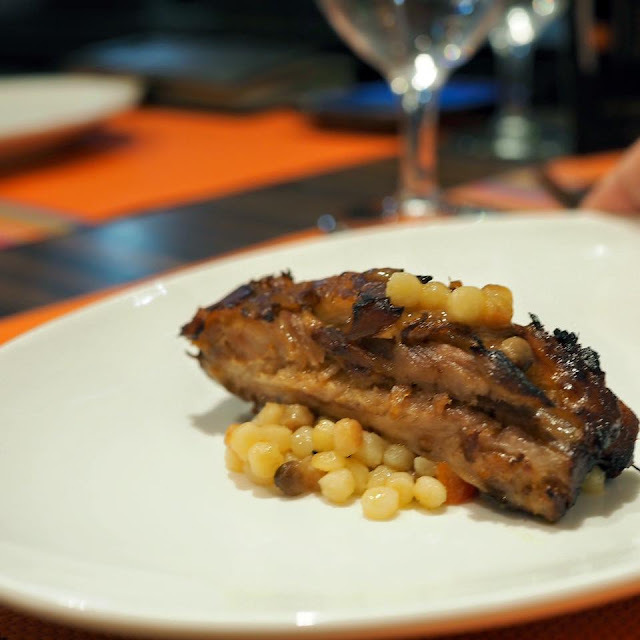 Personally, this was my favourite because the pork ribs were not only sweet, it melts in your mouth like ice-cream. You may think its a funny way to describe, but I didn't have to chew at all! It also had a slight charcoal aroma *drools*. Out of the other beer-wines we've tasted, this bottle is the most bitter and has the highest ABV of 8%. This unpasteurized stout beer is naturally refermented in the bottle. It has a full bodied taste, with a very complex aroma of roasted coffee, barley, cocoa, licorice and rhubarb. Soft, creamy and lingering mouthfeel. Velvety and smooth foam looking like a cappuccino. This pairs well with red meat or after meals. Served on a vintage style pastry board, the carbonara is a visual treat for the eye. Absolutely love the flavours of the bacon and cheese in a decadent, creamy sauce. The serving was just right for one mouthful! Vanilla has always been my favourite flavour. This has a fresh, strong and beamy vanilla flavour. The ice-cream, unfortunately, melts rather quickly even in the air-conditioned restaurant. Tiramisu is the pride of all Italians. A popular coffee-flavoured dessert, it typically holds a classic round shape or simply look like a slice of cake. This, however, is organised mess. Everything was well-balanced and perfect— I wish I could have 100000 servings of this. This tiramisu is made without liquor. The other bloggers all agreed in unison that the Panna Cotta was the best dessert. I'd say the creamy yet fluffy texture is indeed very intriguing. A really wonderful way to approach the end of our meal on a sweet note! Probably it's just me, but I'm not used to the idea of a strong, soursweet and burning sensation for a digestif. It did give me a lasting impact for thinking that I ended the meal on a 'high'. 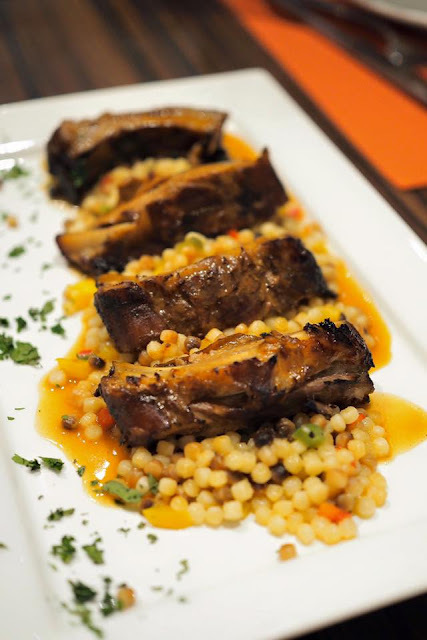 Their service is definitely out of the ordinary and you can rub off some of Chef Carmine's passion in the way he describes the food. I would highly recommend both locals and expats to try out Vita Italiana. 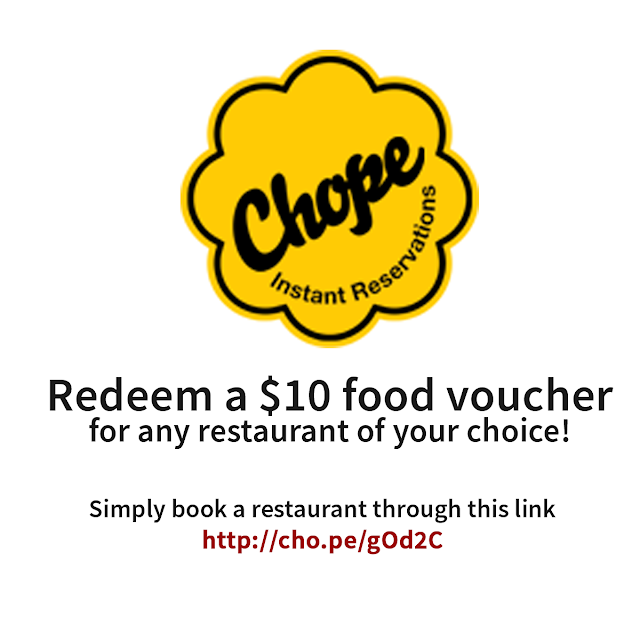 Book a restaurant through http://cho.pe/gOd2C and redeem a $10 food voucher!